Are you looking for a simple, everyday nursing bra? This Black Anita 5068 bra might be your answer! It’s both comfortable and practical, with soft underwiring and seamless cups to make it a brilliant choice for everyday wear. Comfort is very important, and the moulded cups of this bra are made without seams to help protect your sensitive skin. And to give you confidence that you are always secure, this bra has all-round support and specially-designed underwires. They are soft and naturally shaped, made to be as safe, and as comfortable, as possible. 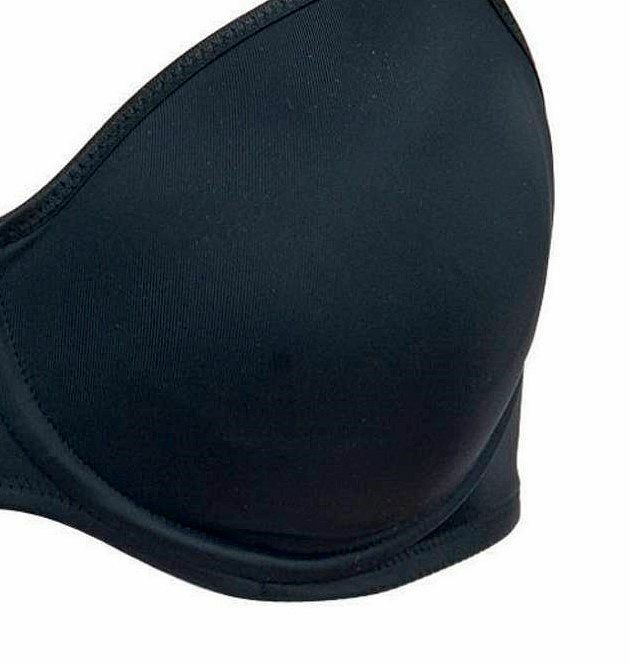 How can you adjust this bra to fit you? The back is made of microfiber, to provide extra support. There are three positions to adjust the size, each with two hooks, so that this bra is flexible and should fit you as your body changes. The straps on this bra are also fully adjustable, and are increasingly wider with the larger sizes. They are attached directly to the band beneath the cups, to avoid them slipping away when the cups are down. Feeding your baby is also made easier by the Anita Kwik-Klip maternity clips, which can be unclipped easily with one hand. Having a hand free to hold your baby comfortably is a definite advantage! 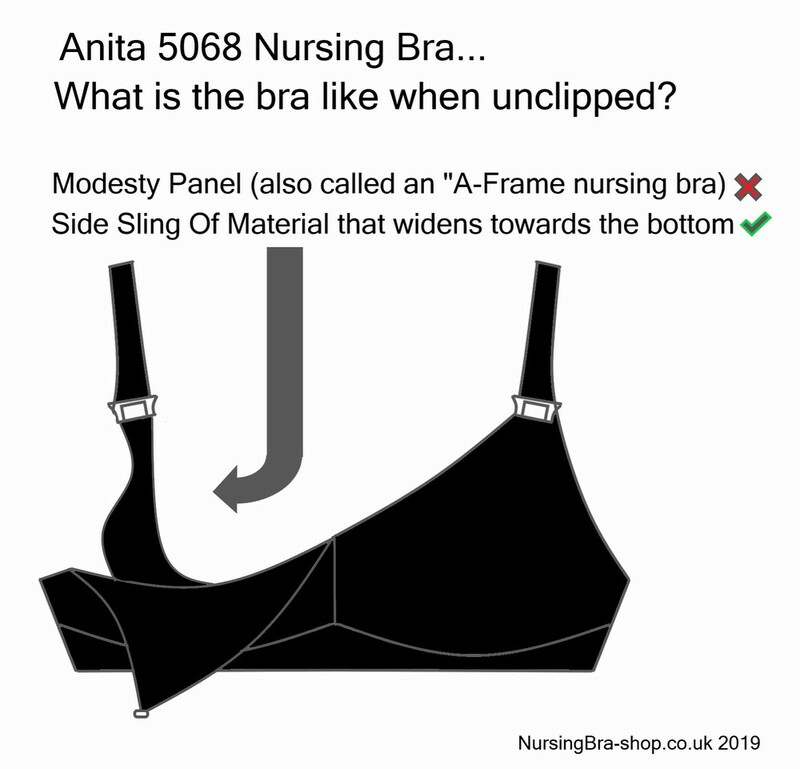 So is this Black Anita 5068 nursing bra the right choice for you? Designed with practicality and comfort in mind, we think it is the perfect choice if you’re looking for a T-Shirt bra. We believe the smooth outline gives it the flexibility to be worn under almost any type of clothing, whilst also giving you the knowledge that you have excellent support.